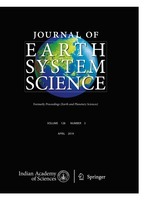 Detailed gravity data collected across the Gadwal schist belt in the state of Andhra Pradesh show an 8.4 mgal residual gravity anomaly associated with meta-sediments/volcanics of the linear NNW-SSE trending schist belt that shows metamorphism from green schist to amphibolite facies. This schist belt is flanked on either side by the peninsular gneissic complex. The elevation and slab Bouguer corrected residual gravity profile data were interpreted using 2-D prism models. The results indicate a synformal structure having a width of 1.8 km at the surface, tapering at a depth of about 2.6 km with a positive density contrast of 0.15 gm/cc with respect to the surrounding peninsular gneissic complex.